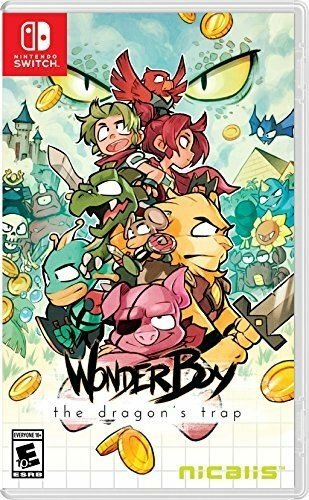 Switch: Wonder Boy: The Dragon's Trap on sale for $30.92. Good price, but nostalgia wears off pretty fast. Hoping the long delayed Monster Boy turns out better. Good price. Might want to also look at Owlboy or Shantae if you want to get your nostalgic 2D platforming on. There is an Owlboy Limited Edition coming out that has a mere 6,000 print run. Shantae I will pick up as I still got the original GBC version. Played this on PC expecting to enjoy it a lot and I played for maybe an hour if that, and got bored with it.